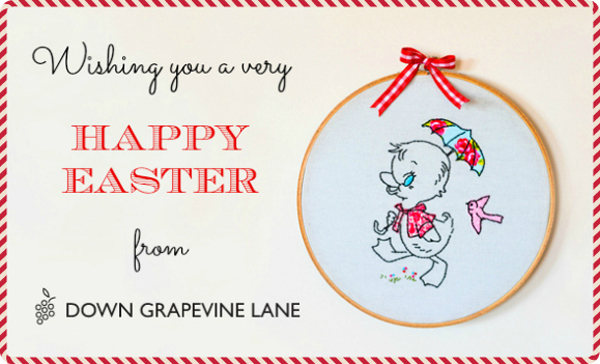 Down Grapevine Lane: Happy Easter! For those who celebrate, wishing you all a very happy Easter filled with lots of love, laughter, and of course, chocolate! 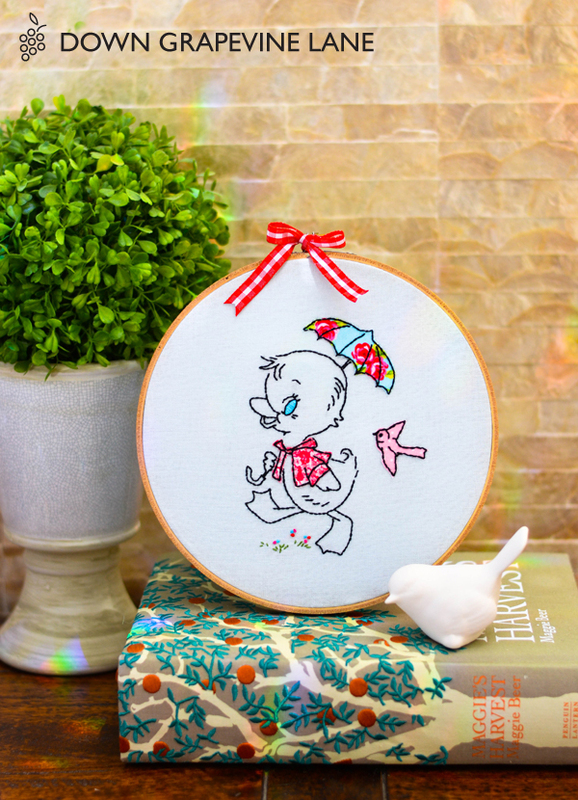 I made this duck embroidery a few weeks back - it is now hanging on the 'wall of hoops' in my sewing room. I must share a picture of that wall with you sometime soon! The drawing is a vintage one, from here. 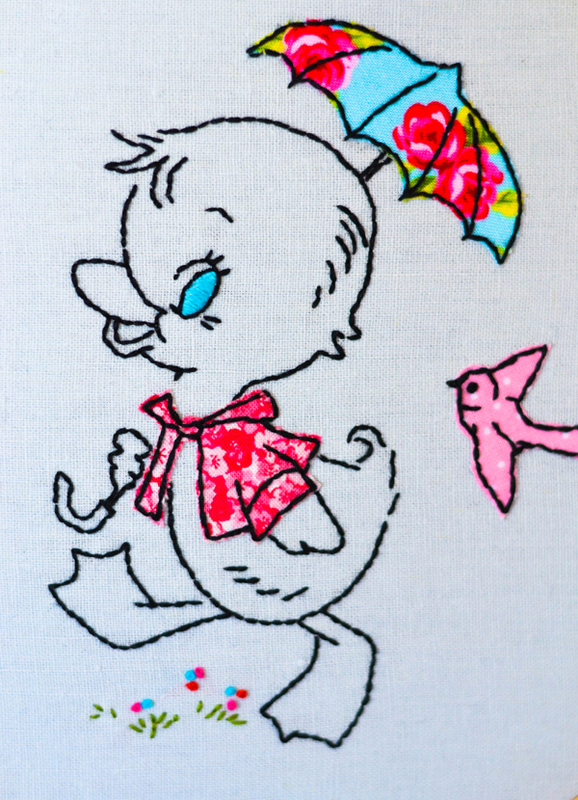 I appliqued his umbrella, coat and the bird first, then back-stitched the outline of the duck, added a satin-stitch eye in bright aqua, and a few french knot flowers under his feet. The fabric is a gorgeous mint Kaufman Essex linen/cotton mix, a recent addition to my stash. This was Easter Sunday at Down Grapevine Lane headquarters... we set the kids off on their first ever chocolate egg hunt in the garden. 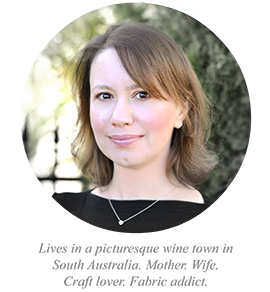 Heaps of fun! Alexander's favourite was the golden Lindt chocolate bunny, which took him quite a long time to spot. Note to self: make a cute Easter basket for next year's egg hunt! Happy Easter for you and your family!!!! Alexander and Alice are so cute. I posted a comment in your blog asking how to do those rabbits. Please reply.